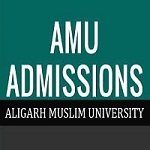 Aligarh Muslim University (AMU) offers various UG, PG and doctoral programmes. 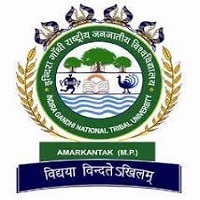 It is a highly reputed university provides academic programmes in the field of Arts, Engineering & Technology, Life Sciences, Agricultural Sciences, Commerce, Law, Management Studies & Research, Theology, Social Sciences, Medicine, Science and Unani Medicine. The application process has been started on 1st February 2019. Candidates are advised to read the official advertisement from the official website before filling the form. 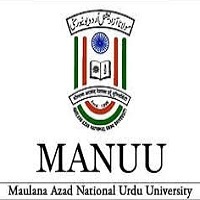 check all the important information about AMU Admission 2019. AMU Online Application Process has been started on 1st February 2019. 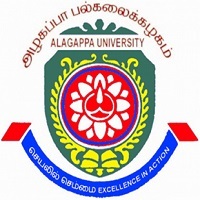 Candidates can Click Here to apply for Aligarh Muslim University. The application forms are available online at the official website of the university from 1st February 2019. For each course, the Aligarh Muslim University will invite a separate application form. Before filling the application form, candidates must have to read the instruction carefully. Candidates can submit application form via both modes i.e. online as well as offline mode. The online application form will be issued from the website. Diploma in Engineering Completed 12th or equivalent exam with minimum 45% marks aggregate with having the subjects Mathematics, English and Science in the qualifying exam. Completed 10+2 or its equivalent exam from any recognized board with at least 50% marks aggregate in the qualifying exam having the subjects Physics, Chemistry, Mathematics and English in the qualifying exam. Diploma holders in engineering with 50% marks secured will also be eligible to apply for both courses. The age of the candidates should not be less than 22 years as on 1st July 2019. Passed 12th or equivalent exam with 50% marks aggregate. B.Ed. Passed with a graduation degree with at least 50% marks aggregate will be eligible. B.Sc. / B.Com (Hons.) Completed 12th or equivalent exam with 55% marks aggregate having the subjects Physics, Chemistry, Mathematics/Biology and English subjects in the qualifying exam. MBA/PG Diploma in Islamic Banking and Finance Should have a Bachelor degree from a recognized university with at least 50% marks. A graduate of Agriculture, Biological Science, Veterinary Science, and Physical Science or Chemistry. Candidates having MBBS/B. Pharma./B. Tech. degree with minimum of 55% marks. Payment can be done through Net Banking or Debit Card/ Credit Card. Demand will be drawn in the favor of “Finance Officer” payable at Aligarh. For some courses such as B.Tech, B.Arch there is negative marking. Candidates can download the admit card via the official website of AMU University. The university will issue admit card through online mode only. Approx two weeks before the date of entrance exam the applicants can obtain the admit card. It is important to take the Admit Card with you while going to the examination centre. Candidate can check the result from the notice board of the official website. After considering applicant’s performance in written entrance exam & interview (wherever applicable), the Merit list for certain courses will be made. The result will be announced probably in the month of May/June 2019. 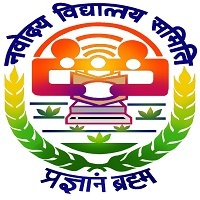 A separate cut off marks will be decided for each course by Aligarh Muslim University. Cut-off marks are the prescribed minimum qualifying marks that candidates have to obtain to be eligible for admission. The cut off marks will be decided by considering some factors like candidates’ performance in the entrance exam, availability of seats for the respective course, etc. For admission to courses in the particular department, selected candidates are required to attend to counselling process in person. The University will publish the list of shortlisted candidates for counselling on the official website. On the basis of marks scored in the entrance test, the allotment of seats will be done. The syllabus will be varied for various courses. There is the different syllabus for each academic programme to be offered in AMU. The syllabus for B.Arch consists of Design & Drawing of Greeting Cards, hand sketching of scenes, hoardings, book cover design, logos, etc. The B.Tech syllabus basically includes the science subjects of 12th standard whereas. How Bangladeshi student can apply for B.Tech program at AMU? while filling on line form for admission to SSS (class XI SC) forget to mark “BC” status. please suggest how to get BC status. Sir, I have completed my graduation( B.Sc) from Bengal, bt my score is 48% on average, there for e I couldn’t take admission neither in B.Ed nor any regular post graduate degree course.Only Distance program is Open for me.so I am looking for a chance of getting admission into apost graduate course, which cource would be better for me to pursue?? sir ,,I am persuing last year of bsc and I want to take admission in msc mathematics in amu…how can I take ??? ?